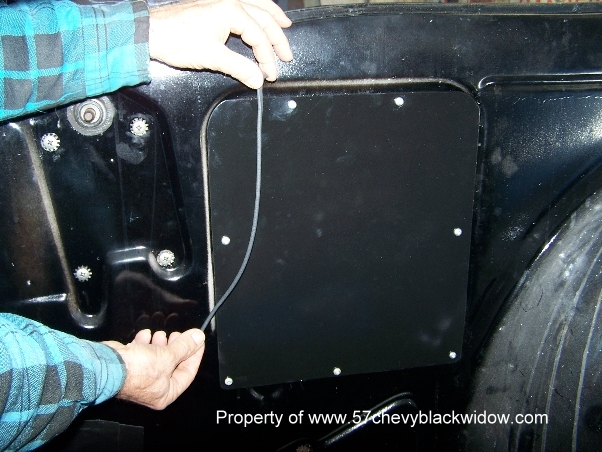 In photos #586 & 587 you see "Old Guy Scott" made inspection covers and uses strip caulk to seal them from leaking into the new panel. 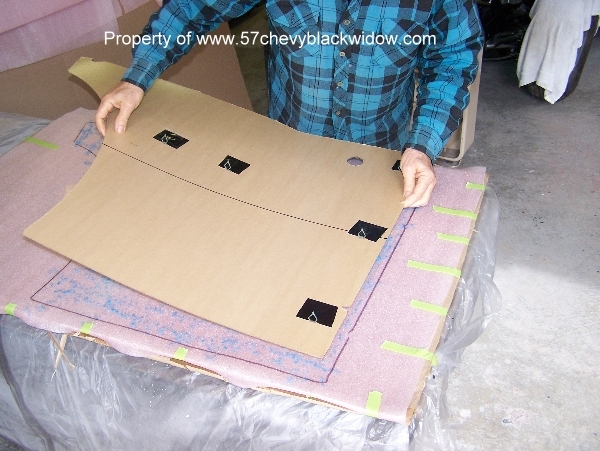 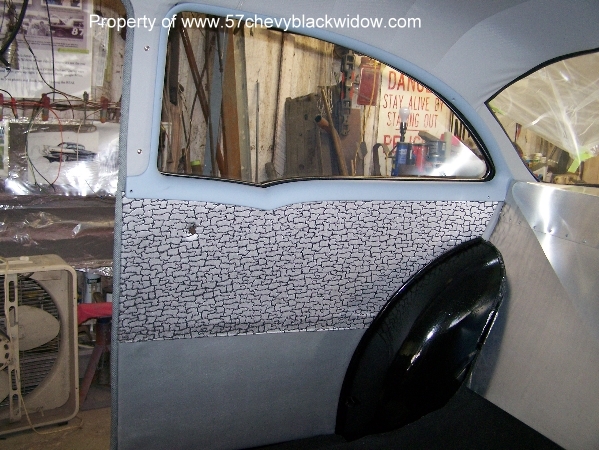 Photo #591 shows the new upholstery pieces that need sewing. 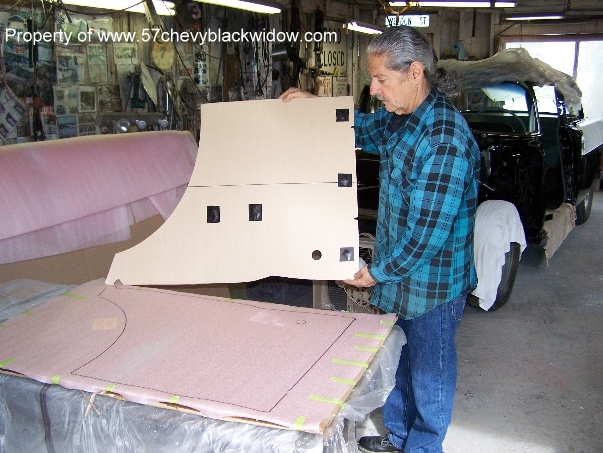 Photo # 588 is the padding being sprayed with glue to attach the panel, photo #589. 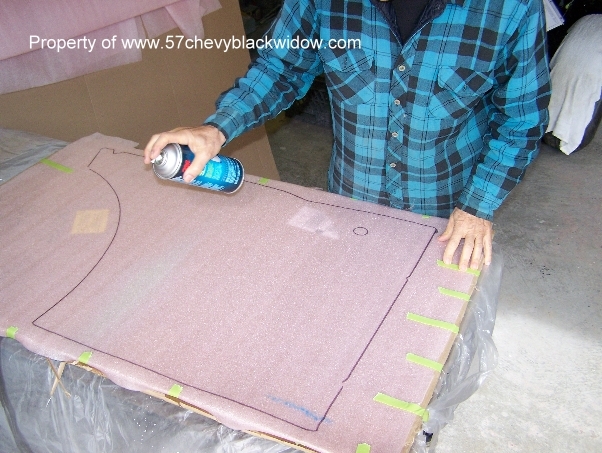 Photo #590 you see the panel being laid onto the freshly glued surface of the padding. 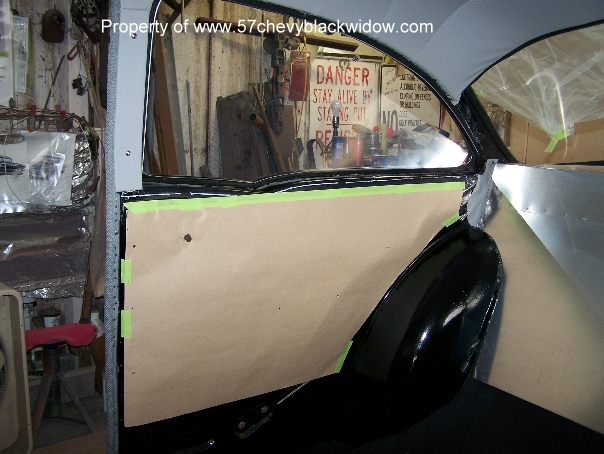 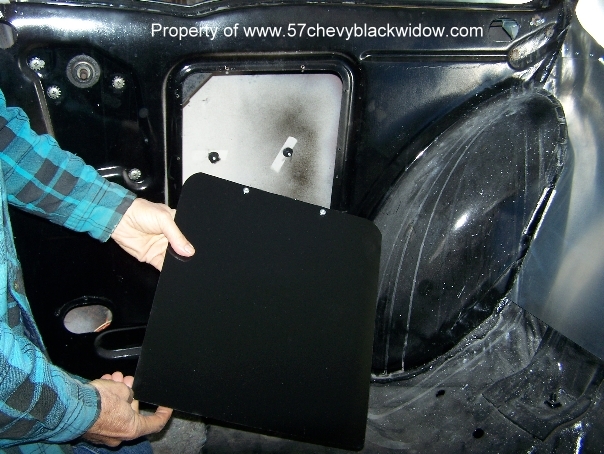 The #592 photo is a thick paper moisture barrier between the metal inner panel and new paneling, photo #593.